The Public Services Department, which is made up of 4 separate divisions, is responsible for numerous functions that can dramatically impact the health, safety and welfare of community residents and businesses. The Street Division oversees the maintenance and improvements to more than 80 miles of roads and over 42.7 miles of alleys. This includes monitoring for potentially hazardous conditions that can occur when traffic signs and signals are missing or not operational. During the winter months, the division works numerous overtime shifts to ensure roads and alleys are properly cleared and maintained for the safety of those living and traveling in the community. Street crews begin with roads that are most frequently traveled before moving to secondary or subdivision roads. Through the water and sewer treatment plants, the Water and Sewer Division employees oversee the daily operations of the facilities that provide safe and quality water to more than 4,500 customers. Together, both divisions maintain more than 73 miles of water lines and 56 miles of sewer lines. To report concerns regarding water mains, sewer problems, street maintenance, traffic signs or other related activities, please do not hesitate to contact Public Services at (618) 251-3122. The City of Wood River, like many communities in the U.S., operates a "combined" sewer system for wastewater collection and conveyance to the wastewater treatment plant. 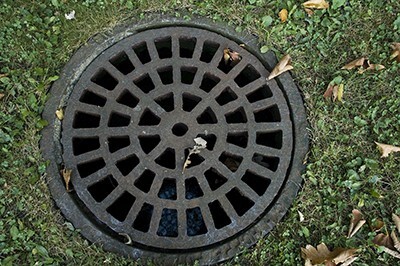 A combined sewer system collects both sanitary sewage from residential, industrial, and commercial sources, as well as stormwater runoff from streets and other areas, in the same sewer system. When heavy rains occur, however, the capacity of either or both the combined sewer system and the wastewater treatment plant can be exceeded due to the often-rapid increase in flows. This occurs because the sewer system and treatment plant cannot cost-effectively be designed and constructed to handle such relatively infrequently occurring situations. In certain wet weather periods, the combined sewer system will then release untreated wastewater into streams, rivers, or lakes – termed a combined sewer overflow (CSO). The City of Wood River has only one CSO discharge and it discharges directly to the Mississippi River. Republic Services is contracted to remove trash and recycling for the citizens of Wood River. Please click this link for information on Trash and Recycling Services within the City of Wood River. FYI: Should a holiday occur on a regular pick-up day, service will be provided the following day for either trash or recyclable. For example, if a holiday falls on a Monday, that route will be picked up on Tuesday, and the Tuesday route picked up on Wednesday. If there is a Thursday holiday, that route will be picked up on Friday and Friday's route on Saturday. 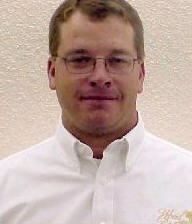 Holidays observed by the hauler are New Year's Day, Memorial Day, July 4th, Labor Day, Thanksgiving, and Christmas Day. For a missed pick-up, please contact Republic Services at 618-656-6883. For additional information or to report concerns, please contact Public Services at 618-251-3122. For additional questions, please contact Public Services at (618) 251-3122. Because of changes mandated by the State of Illinois, no landscape materials, such as grass, leaves, brush trimmings, or branches, can be co-mingled with solid waste at the landfill. Therefore, the City’s refuse hauler is unable to collect landscape or yard waste with regular trash pick-up. However, residents do have a few options about how to legally dispose of landscape and yard waste. Take Grass and Leaves to the City Dump: A drop-off facility is available at the City Dump at 400 Smith Ct. in EnviroTech Park where grass and leaves (yard waste) are accepted free of charge. Anything in paper or plastic bags will have to be opened and dumped into the containers. Leaf Burning: Outdoor burning of leaves, plants, shrubs and small limbs is allowed on private property, on Wednesday and Saturday only during the time period of October 1st through April 30th of each year. Burning must take place during daylight hours, only during a calm weather period with winds of less than 10 miles per hour. All burning must be supervised and a water hose must be available to extinguish a fire, if necessary. No leaf burning shall be allowed on any public street or alley. Leaf Pick-Up: Generally beginning in October until December, the City will provide residents the opportunity for a free leaf pick-up for those leaves that are raked to the curb. Please do not rake leaves into the gutter. During rains, leaves may wash into the storm drainage system and cause unnecessary back ups. A leaf pick-up schedule is published in the fall edition of the Pipeline Community Newsletter. For additional information, please call Public Services at 251-3122 or City Hall at 618-251-3100. Brush Hauling: Residents can schedule for tree limbs to be picked-up curbside for a fee of $25 per truckload by contacting the Finance Department at 618-251-3131. Pre-payment and scheduling arrangements must be done in advance. Storm Clean Up: Following a storm the street department will haul away branches that have fallen. Please place the branches at the front curb and contact Public Services at 251-3122. For additional questions, please contact either City Hall at 618-251-3100 or Public Services at 618-251-3122.